This is a one of a kind Custom Cocktail Kit. The wrap on this kit is from Canada, and it has a 3D effect. 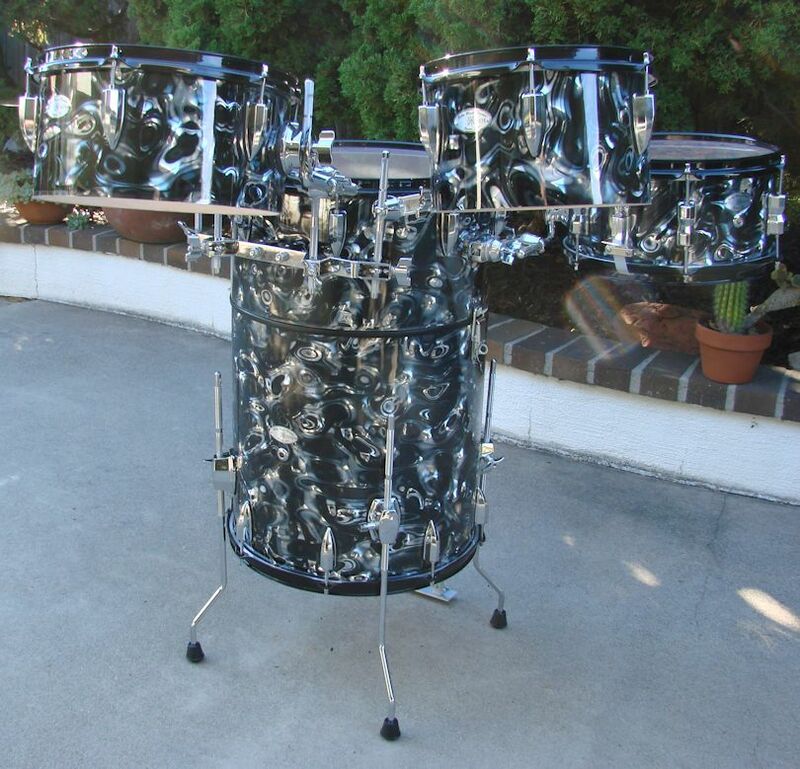 The drums are 16"x24" Bass/Tom 12"x6" Snare Drum 10"x6" Rack Tom & 12"x6" Rack Tom. All Happy Hour Kits come with my patented Rail System for installing you kick pedal. All Tom and Snare mounts are totally adjustable. Unlike my other Happy Hour Kits. This one is ready to ship.